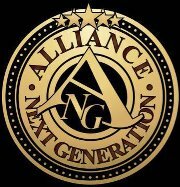 Cross Cris the manager of the Bounty Killer led ANG (Alliance Next Generation) gave a musical lesson to an interviewer, about the young artists which are under his management and also where and when Vybz Kartel and Mavado started in the dancehall/reggae music business. Both are were under the guidance of the dancehall general Bounty Killer for sometime before they got their big break. This is a very interesting interview. Although it only lasted for a little over four minutes he shed light on a lot of things. We also welcome your comments/views on this interview.